125 anniversary of Vincent Van Gogh’s death day is celebrated in 2015. In connection with the memorable date, many European countries have themed exhibitions and events organized under the title Van Gogh: 125 Years of Inspiration. Moscow has not gone away: a grand multimedia exhibition Van Gogh Alive 2.0 opens in the Artplay Design Centre on October 15. Van Gogh is one of the most popular artists in the world. During his short creative life, the master has created more than 2,000 works, including 930 paintings, 1,100 drawings and sketches. His creations are traditionally the most expensive and desirable lots in any auction. The Van Gogh Museum in Amsterdam is the most visited museum in Netherlands and one of the most popular in the world – it has more than 1.5 million visitors a year. 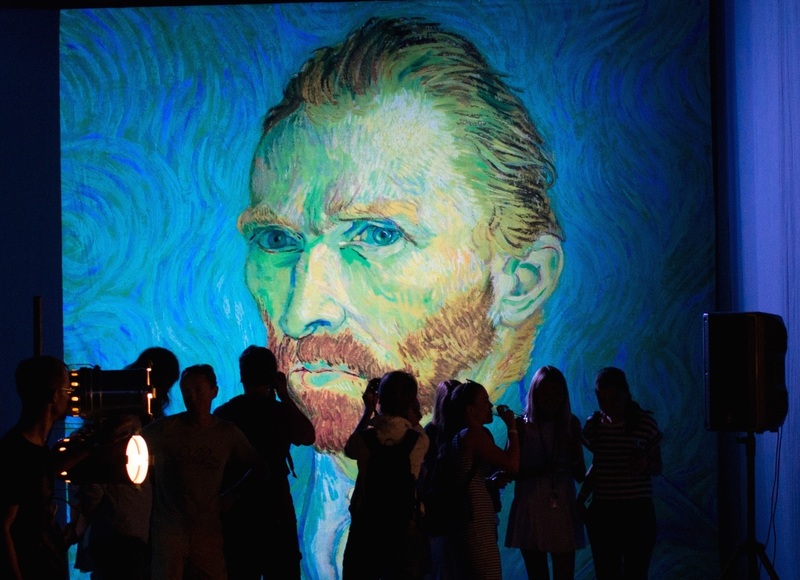 It is with the exhibition Van Gogh Alive began the history of multimedia art projects in Russia – in January 2014, the first exhibition opened at the Artplay Design Centre. Over 200 thousand people visited it in Moscow. And that was an absolute record of exhibitions attendance in the city. Created especially for the Van Gogh Year, an updated version of the Van Gogh Alive exhibition gives a new glance on the tragic life and the magnificent work of the artist. The 2.0 version focuses on key works of the great Dutchman, keeping the best from the previous exhibition. Visitors will have an opportunity to study their favorite paintings in more details. 400 most iconic paintings by Van Gogh, great classical music, the huge screens on the total exhibition area of over 2,000 square meters will undoubtedly make a lasting impression on the audience. An integral part of the exhibition is an opportunity to be literally inside Van Gogh’s paintings. Visitors will be able to take a picture in The Bedroom in Arles or a cup of coffee at Cafe Terrace at Night. Lectures by leading art historians will help you not only enjoy the paintings but also earn more about the life and work of the artist. And workshops on painting, where everyone will be able to create a Starry Night or Sunflowers by guidance of experienced teachers will develop your creativity.